American Academy of Pinecrest is a member of the U.S. Chamber of Commerce. American Academy of Pinecrest is a registered member of The College Board. A non-profit U.S. examination board, The College Board manages various standardized tests for students in the third or fourth year of high school planning on continuing their educations at a post-secondary level. The SAT is the most well known of these tests used for admission to colleges and universities in the United States. American Academy of Pinecrest is a registered member of ACT, Inc. formerly the American College Testing Program. An independent, not-for-profit organization that offers various assessment, research, information, and program management services in the areas of education and workforce development. American Academy of Pinecrest is a registered member of the Education Testing Service. The world's largest private, non-profit, educational testing and measurement organization, Education Testing Service develops various standardized tests primarily in the United States for K-12 and higher education. Many of the assessments are associated with entry to U.S. undergraduate and graduate institutions. American Academy of Pinecrest is a private high school meeting all state requirements. American Academy of Pinecrest is fully accredited by the National Association for the Legal Support of Alternative Schools (NALSAS). 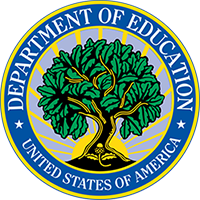 American Academy of Pinecrest is listed with the U.S. Department of Education / National Center for Education Statistics, Washington, D.C., 20208-5651. American Academy of Pinecrest is an accredited member institution of the Transworld Accrediting Commission International (TACI). Transworld Accrediting Commission International is an international, federally recognized non-profit church educational organization that accredits and assists universities, colleges, theological schools, seminaries, and school programs throughout the world.